Listed below are a few of the villages streets with a little piece on each one explaining why they have the names that they do. Kirk Road - With the church within two hundred yards of this road it is obvious where the name originated as kirk is a Scottish name for church and that is where the road leads to. Wemyss Road - This is a reference to the Wemyss & March estate which lies to the West between Aberlady and Longniddry. 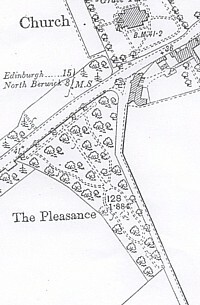 Pleasance - This refers to a pleasure ground or park. 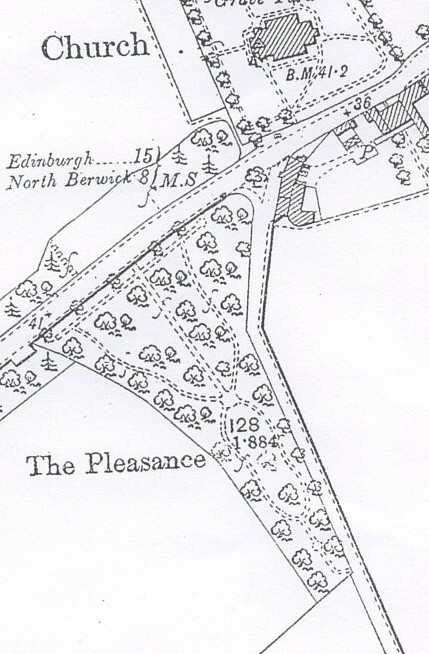 This does not refer to the swing park presently there but to an area including where the two houses opposite white house now stand as there was once a tree lined 'park' there ( see map, right ) . Luffness - To the West of Aberlady is Luffness House, the residence for the Hope family for many years. 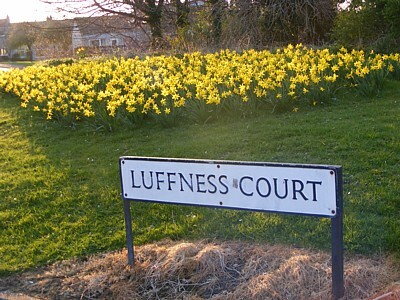 Any reference to Luffness therefore comes from there. Kilspindie - This name comes from the area to the North of the church where there used to be a natural harbour and customs house. School Road - Self explanatory as the Primary School is located at the West end of this road. Tranter - Any road or street with Tranter in the name is a reference to the world reknowned Scottish author Nigel Tranter who lived in Cross Cottage in the village - for a few years - before moving to a house close to the Wooden Bridge, to the East of the village. Haddington Road - This road was once the main road for goods transported from the harbour at Kilspindie to Haddington. The Wynd - Wynd is a Scots name for a narrow ( winding ) street. 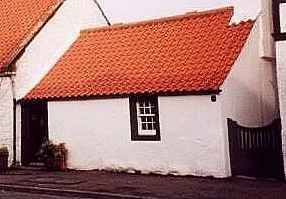 The one in Aberlady was described in J P Reid's book, A History Of Aberlady, thus; The Wynd itself, facetiously dubbed "Quality Street " by the wags of old, is not the show place of the village, being of quite an unlovely appearance. The Gardens - The houses which stand here were built on land once used by the Market Gardens run by Sherratts. The large building on the left as you enter The Gardens was also owned by Sherratts. Moor Road or Mair ( or Mare ) Road is derived from the fact that at the Southern boundary of the village there was once a fairly extensive moor, which stretched eastwards far beyond the boundaries of the parish. The villagers grazed their cattle, horses, etc. there. Back Lane - Another one which requires little explanation, this lane runs East/West parallel with the main street and is at the 'back' of the houses on the Southern side of that street.